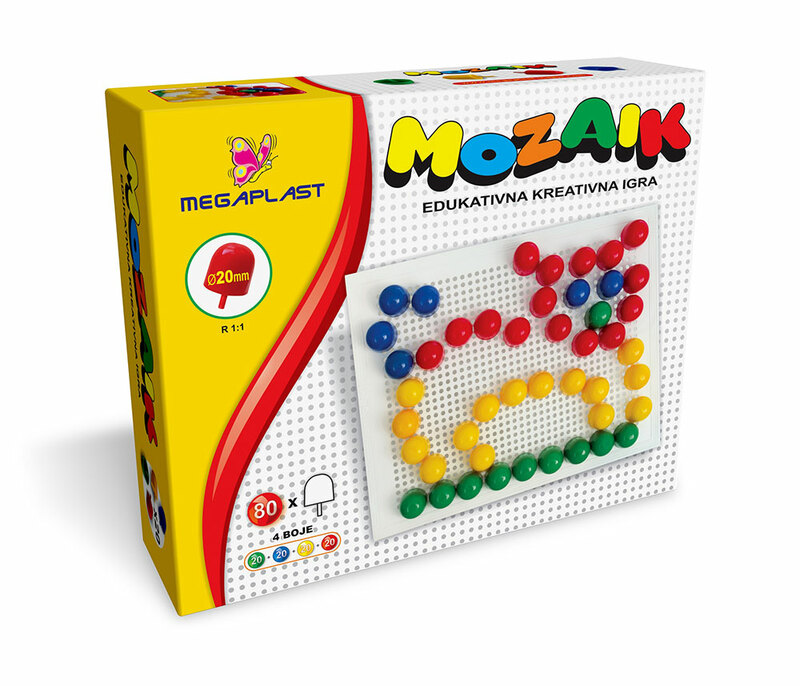 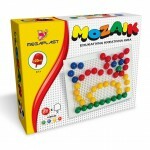 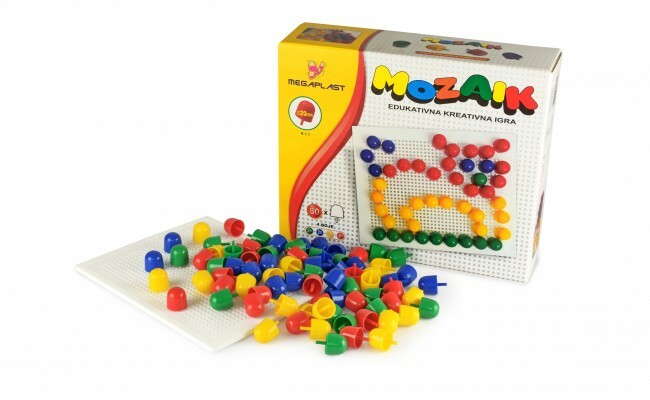 Mosaic M20 is constructive educational toy. 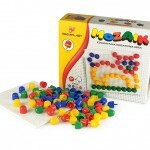 Set consists of a plastic table, plastic pins and cardboard boxes. 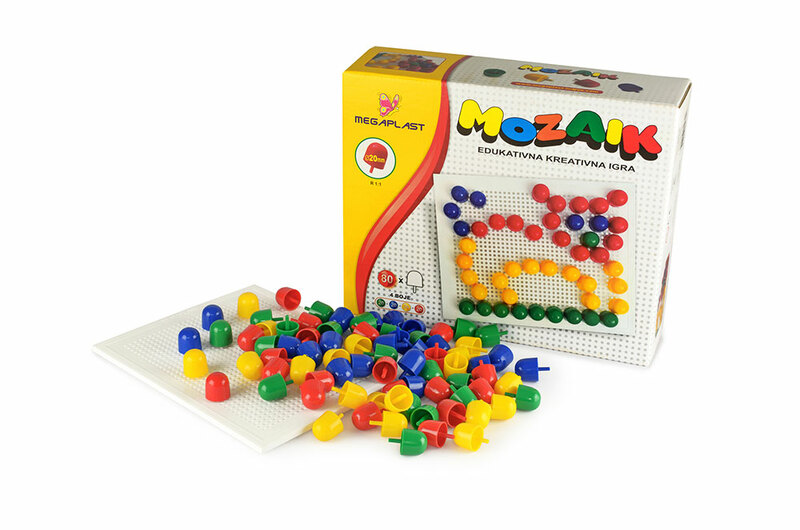 Pins are made in four different colors where the diameter of the "head" on pin is 20 mm. 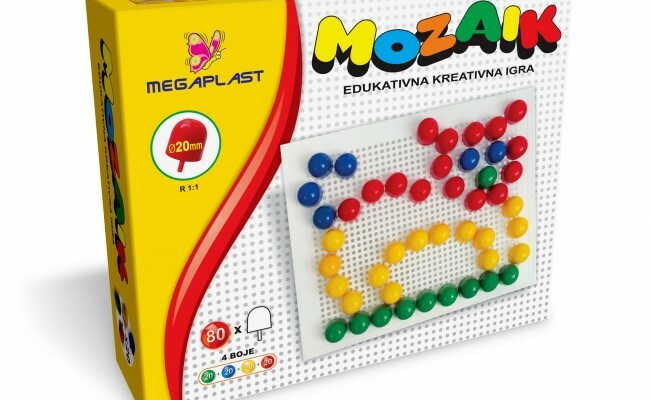 Set contains 80 pins.